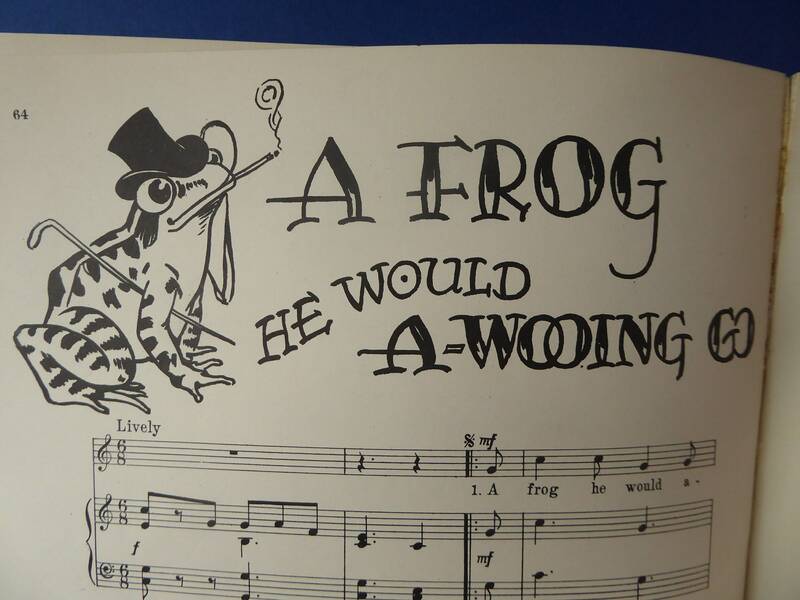 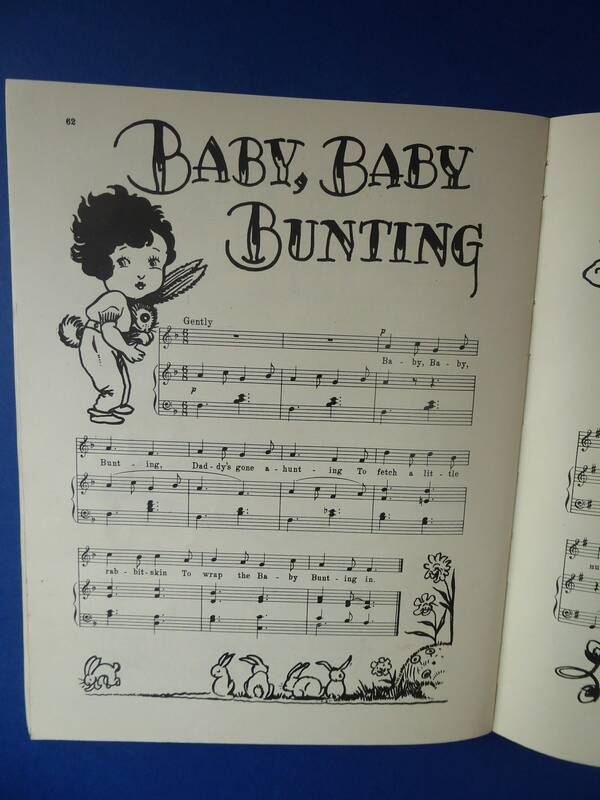 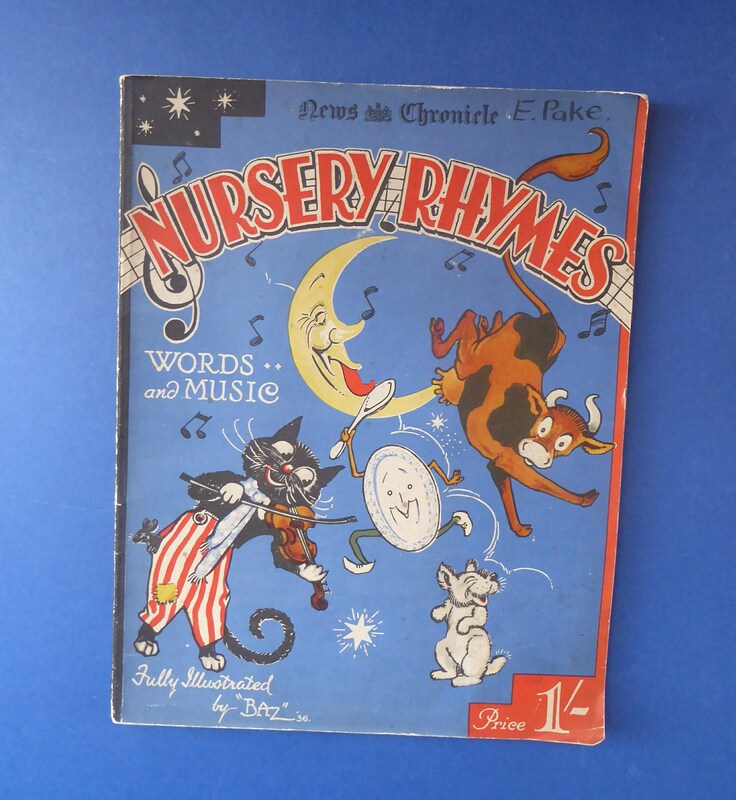 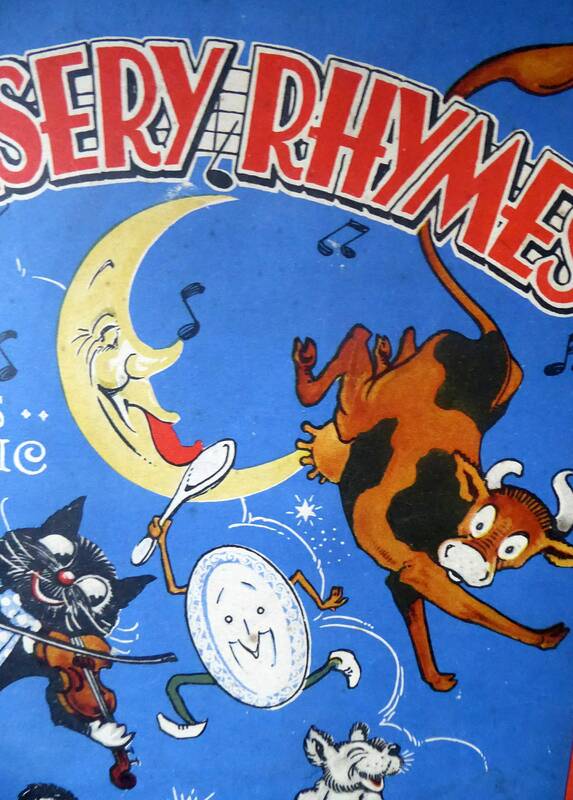 This is a cute little book featuring the music for some of our best-known nursery rhymes. 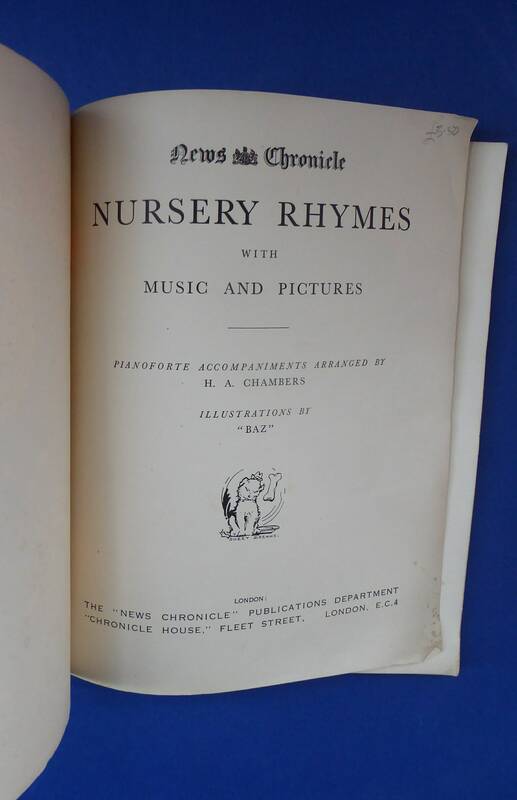 Illustrated by Baz and published by The News-Chronicle Publications Department. 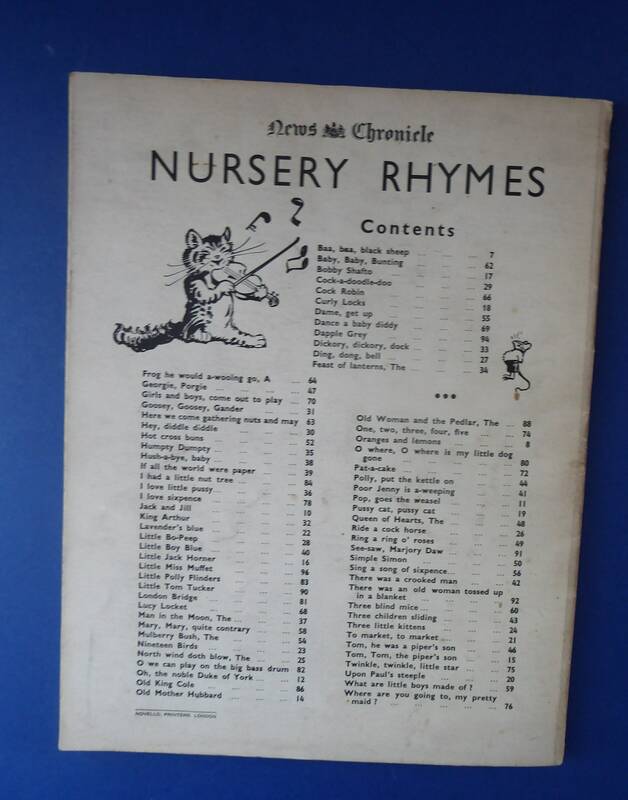 It has a soft cover with delightful illustrations of nursery rhyme characters on the front and a list of contents on the back. 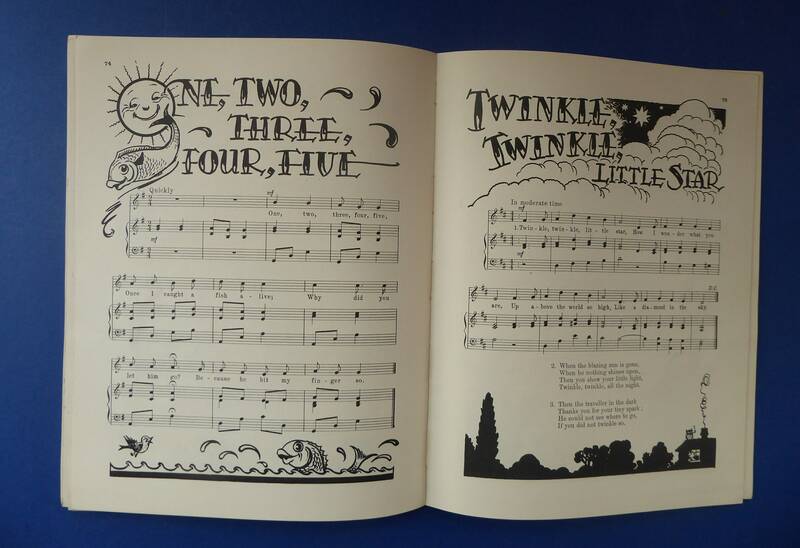 The volume measures 11 x 8 ½ inches and has 96 pages. 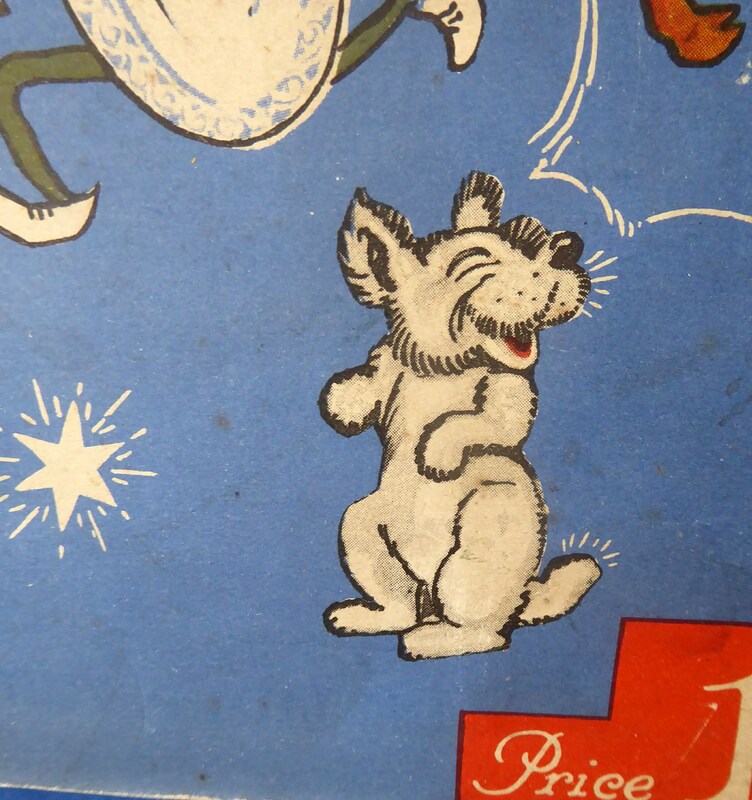 Inside are lots of black and white illustrations, as photographed. 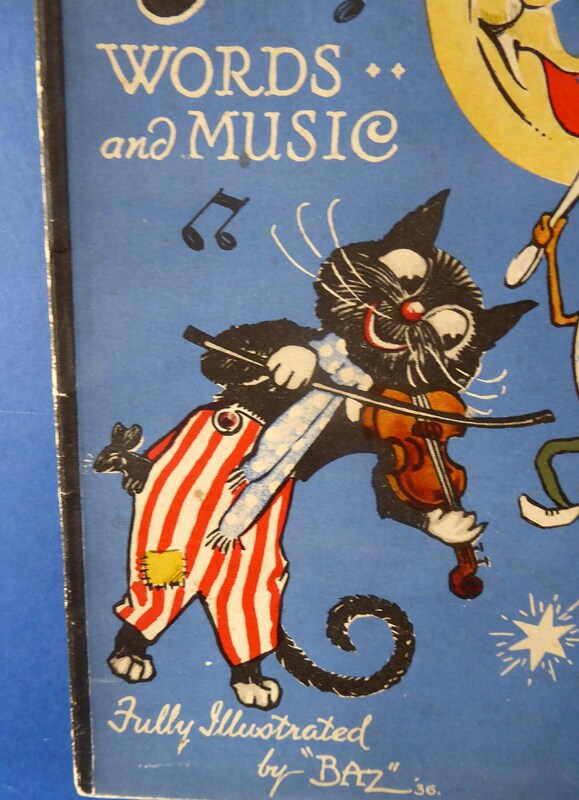 This copy is in good condition.